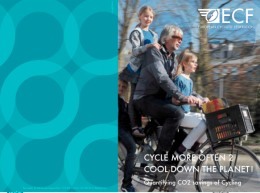 A new study by the European Cyclists Federation (ECF) offers an in-depth comparison between the CO2 emissions of bicycling versus other modes of transportation. The new study is aimed at encouraging policy makers to make bicycle promotion a larger part of their greenhouse gas emission reduction toolkit. What makes the study interesting (and useful for settling debates) is that it took into account not just the emissions from the vehicles themselves, but from the entire life cycle of the mode including production, maintenance and fuel — which in the case of bicycling includes caloric intake. The study was focused on the European Unions emission reduction goals, but the findings are useful for anyone in the transportation realm who needs data to back up arguments about CO2 emissions. Bicycle-share schemes also have the potential to reduce further emissions, considering it is a substitute for motorised transport for 50-75% of the users. With EU crude oil imports at 955 million barrels per year, EU citizens cycling at Danish levels would reduce EU oil importations by close to 10%. Read more about the study in The Guardian and download a full copy of the report here (PDF). Thanks again for the great information, Jonathan. CO2 is the biggest issue facing the entire world. At the climate talks in South Africa, the US looks selfish and uncaring about the plight of others. We act like were insulated from the effects of Climate Change, check the droughts, hurricanes & floods etc, were victims too. Those are costing billions, yet just lowering the speed limit on freeways by 10 mph would cut CO2 by 15%, how difficult can that be? Bicycling to the store isn’t that inconvenient, it’s refreshing. I don’t get this whole CO2 issue. I thought plants liked CO2. Doesn’t photosynthesis require it? So, all other things being equal, wouldn’t the world be literally greener if CO2 was at maximum concentrations thus helping all plants extract maximum energy to produce glucose, oxygen, and water? You’re right, but I think the key words here are “all other things being equal”. The problem is that CO2 emissions from fossil fuel burning produce much higher concentrations of CO2 than the world’s plants ever needed or could process. Combined with large-scale deforestation this means that the balance is out of whack. And plants need more than just CO2. Depending on the plant, they have necessary climate and water requirements, among other things. CO2 in the atmosphere acts as an insulator causing the earth to retain the sun’s heat. If this changes the climate or the amount of available water, desertification can result, which means even fewer plants to process CO2. This is the whole apocalyptic vicious cycle that people are worried about. Clearly, nobody’s planting 100 trees for every kilometer they drive, so even just the numbers listed in this article make it clear that the CO2 going into the air is going to dwarf the amount that the world’s plant’s can consume. When there is too much CO2 in the atmosphere plants stop gathering it and turning it into glucose. The plants begin expelling carbon instead of oxygen adding to the problem instead of helping. Water is essential to life – so do you mind living underwater? OK so – if that’s going too far – do you mind if it rained all day, every day? Would that be just as liveable, considering that people would die without water? The thing is that plants like a certain level of CO2 and it doesn’t help to have that too high. If you raise the levels like we are then some crops respond by increasing their natural insecticides, which in some cases means that crops will increase their cyanide levels, and will also produce tougher crops that are less suitable for human consumption. Also consider that Humans need Oxygen, but try living in a high oxygen atmosphere!!! Everything becomes more flammable for one thing. The (deliberately) simplistic ‘plants need CO2’ argument is a nonsense. You do get it I bet, you just don’t want to. It’s also ridiculous to take one particular aspect of CO2 and pretend that’s the important thing here. Why would you think that it’s OK for the planet to warm up as long as the plants are happy with the CO2 whilst they suffer from the warming effects?? What strange logic are you using here? And so – all other things are not being equal because the effect of concern is not ‘do plants like CO2’ now is it? The effect of increased CO2 that is most often referred to is the increased absorption of re-radiated energy by the CO2 in the atmosphere. We understand the science of this very well. We can easily demonstrate it also. There are other effects of increased CO2 such as increased ocean acidity as the CO2 is absorbed into the water. This acidity affects marine life in many ways. Again the science is well known of many of these effects. And I’d suggest that you bother to read the actual science of these things, and take the opinions of actual climate scientists over propagandists and political scientists that come up with such ridiculous arguments as a means to convince the ignorant. ‘I don’t get it.’ – is no argument in your favour, nor does it indicate we should listen to your post. I would love to know the real reason you read through a whole article to bother making a post saying you thought the whole thing was irrelevant. (b) the fact that a lot of people who don’t bike eat more calories than they need/should (a majority of the US citizenry by some measures). Penalizing bicyclists by noting this incremental caloric intake surely (at least in the overweight and over-automated US) must be tempered by actual rather than hypothetical caloric balances across the rest of the population. Bike commuting burns up all the strategic reserves I packed around my midsection in college. I acquired that carbon load decades ago (when I drove everywhere in a car, natch). Hear, hear! Studies like this presume that the calories burned by cycling are “extra” calories that would not otherwise have been consumed. Especially here, in a country where we eat too much and exercise too little, that’s not a valid premise. If anything, my appetite (and my caloric intake) go DOWN when I’m exercising regularly by riding my bike. What we need is a study on the fuel savings from having groceries delivered to residences by grocer run delivery trucks versus individual POVs. I expect that there would less fuel usage for a single delivery truck than many different vehicles. Aside from “soccer mom” duties grocery hauling is one of the chief reasons for having some automobile. I know that I would still pick up fresh produce and meat in person but prepackaged UPC barcoded items are bulky and heavy items that would be better served, time and energy wise, by a delivery truck instead of a cargo bike. Unless you go off in to the hinterlands and live like Les Stroud (primitive living, subsistence farming, make your own: food, water, tools, house, clothing) you WILL be buying things that have barcodes. That is a simple fact of life. PERIOD. The point of me saying “barcodes” is to delineate a type of product that can be purchased from a local store over the internet and you can be reasonably assured that you will be getting the same quality as if you wasted time and fuel to get there yourself. This doesn’t apply very well to things like produce, meat, some lumber … basically natural products that you could reasonably expect the average person to go and handpick. A box of cereal, a bag of flour, toothpaste, hygiene products, pet food, prescriptions, bandages, cleaning supplies, spices. If you are reading this post you are doing so on a screen that was sold with a barcode, responding with a keyboard that was sold with a barcode, walking to get a drink after yelling at what I’ve written in shoes that was sold with a barcode … ad infinitum. As the price of portable energy storage materials skyrockets (gasoline, diesel, batteries) people will be looking for ways to increase daily efficiency; for many this will mean looking for ways to avoid making ANY trip by car. If buses are better than SOVs then delivery trucks will be better than SOVs as well. I’d also like to point out how delightfully daring the cover photo of this report is. I’d venture that even by European standards those four individuals on that bike would be considered, well, daring. Anyone care (in a jocular mode) to enumerate all the local-to-us laws they are violating? 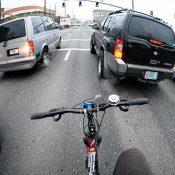 The (admittedly implicit) light this visual casts on bicycling policy here in the US is not a very flattering one. Every photograph in the report includes multiple people per bicycle and nary a helmet in sight. My heart fills with smirking joy. Very nice study. Thanks for sharing this. It took in many different things into account. I wonder what the breakdown would have looked like if they had split personal motor transport (as shown by the car icon) into 4+ wheel transport vs less than 4. The Mythbusters did an experiment this season, and found that motorcycles produced a surprising amount of air pollution. The study reviewed here is about CO2, and rightfully so in my view. The other pollutants are locally troublesome, but they aren’t raising sea levels, bleaching coral, increasing storm severity, and melting the polar ice caps. This 5 g/km figure works out to about 1/4 of the total CO2e per km figure, the balance being for food. and/or we ride further, the calculation might look quite different. 19.9 Kg, thats a 43 lb bike. Pretty hefty machine, even for commuting. This is a great study. It sort of confirms what many of us already know, but policy makers really seem to need facts and figures. I think the study is great, but I also think it is important to interrogate the underlying assumptions. While true, this comment applies equally (and probably more so) to automobiles. Car models differ from each other in raw terms far more than bicycles. Assuming the underlying assumptions are merely somewhere close to accurate, the important thing is the magnitude of difference between automobiles and bicycles. Tweaking the assumptions a percentage or two here and there to account for frame material or vehicle longevity won’t change the core thesis one iota. While I take your point, I’m not sure it is irrelevant. I can already imagine someone getting hung up on the factor of 10 figure and arguing that their 20-yr old 7-passenger SUV with all seats occupied is comparable to a bicycle (using the assumptions in the study)…. 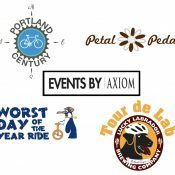 If it turns out that a 20yr old steel bike pedaled by a vegan actually comes out a factor of 20 better than the average car (I haven’t done these calculations–just wanted folks to be aware of the possibility) I don’t think this is irrelevant. I’m interested in the error bars around the two numbers, mostly, and the assumptions that inform them. The SUV you mention might as well be a bus on a low usage route. If you really have 7 people in that SUV, all the time, it could be the right vehicle for the job with CO2 emissions comparable to cycling. The important thing is that they HAVE stated their methods. They shouldn’t have to look at every possible permutation. They picked several common modes of transport, and the methodology is there if a ancient-suv enthusiast wants to run their own numbers. I didn’t mean the comment as a criticism of their methods but as a nod to those of us interested in interrogating their method for our own offensive or defensive purposes. Although I will disagree with that statement. CO2 emissions are being used here in two distinct senses that muddy the waters. In the case of a bicycle, the CO2 is imputed, and/or upstream. It is not required for its operation. If fossil fuels stopped flowing tomorrow we could all keep riding our bikes for a very long time. We’d eat differently; we’d lubricate our chains differently; we’d have to get creative about patching and replacing our tires, but it would work, could be made to work. In the case of the SUV, the only way practically to continue using it would be via ethanol or biodiesel, both of which have a nontrivial embodied fossil CO2 footprint, and I suspect we will discover at that point that we don’t have the luxury/land available to grow our transportation fuels anyway since we’ll be hungry. *infographic sigh* I believe that the sizes in the infographic are misleading. The area of the circle should scale with the number inside it, but these do not. The largest circle is approximately 200 times the area of the smallest circle, even though the numbers represented differ by a factor of only 14. The area of a circle is proportional to the square of the radius. They have made the numbers inside the circle proportional to the diameter of the circle instead, which is incorrect. Good call. Someone should apprise them of their error. But scaling the diameters makes it so much more dramatic. They had an agenda when they did this study and as they report it, it becomes propoganda. I completely respect their agenda, but they lose credibility when they let it slide into propaganda. I wonder if EU’s food supply, on average, travels the same distance as ours in the US. Anybody know? Haven’t found good numbers for Europe. I’d take issue with the 21g of food per km to move a bicycle and cyclist. At the low end, that’s 84 kcal/km (all carbohydrate) or 189 kcal/km at the high end (all fat). 84 kcal/km is more than most people would use to run or walk the distance, and cycling is more efficient. Perhaps the study also added in basal metabolic rate, though that would have to be added for drivers sitting in cars too. In sum, basic exercise physiology suggests even fewer grams of fuel for a cyclist than this report. now even calculating how much food I use to ride my bike? The control freaks are hard at work tonight. I’m sure there is a nugget of truth here, but statistics gathered with an agenda in mind are always suspect. I’d like to see a neutral analysis of their methods. I think the example of the 20 year old SUV used by a family of 7 is a good example of how much wiggle room there is on these things. And I wonder if they took into account the average number of bikes the typical rider owns (how many of you have more than 5, fess up). The info-graphic is very misleading. The circles are comparing the CO2 emissions based on diameter, but the impression is that the reader is supposed to compare areas. The Bus circle needs to be 2.4 times bigger and the bike circle needs to be 14.3 times bigger! Don’t get me wrong, I think anyone trying to say CO2 emissions of bike riders is in the same league as motor vehicles is a raging idiot. But I get annoyed with misrepresented data, especially when the data is already compelling even without the deception. To be fair this may have just been an honest mistake, and the graphic also includes the numbers themselves, but realistically someone should have caught that. 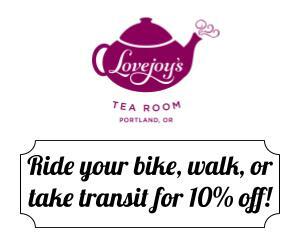 Someone did (a bikeportland commenter named jonesy). But yes, someone on the team of the ECF should have as well. 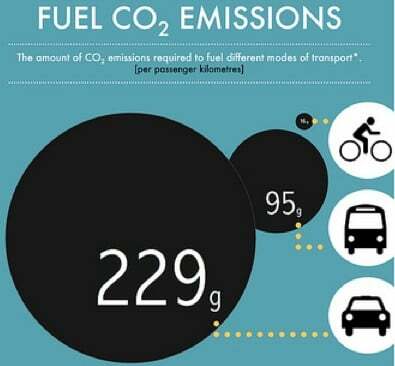 That’s 21 grams of CO2, not food, per Km for the bicycle, and includes CO2 required to build (a 43 pound) bicycle with only an 8 year life. Quite conservative I’d say. I ride a 23 year old, 30 pound Bridgestone CB-1 for comparison. Not a vegan, though my meat consumption is low.